This is a “true confessions” type of blog post. An “I stuffed up” bare honest confession. A story of hospitals, love, leadership, big goals, business systems, and the consequences of ignoring your own systems. And weirdly, I also include a recipe. Plus, of course, lessons for both you and me. Because in my books, there is no such thing as failure. There are simply lessons. Because of this, I kinda crazily get excited about analysing stuff-ups and turning the lessons into new systems so I can do better and be better next time. And because your success is absolutely one of my highest priorities, I’m sharing those lessons with you. I’m not sure if you noticed but I haven’t sent a broadcast email to you for weeks. I also haven’t been seen these last few weeks on my business Facebook page, Twitter, Youtube, iTunes, Stitcher, Linked In, Blog, yadda, yadda, yadda. You see, for over 4 years, every single Monday morning, like clockwork, I send a short and sweet 3 minute video to get you motivated for the week. The past 3 weeks I haven’t. Think about that. Every single week for over 4 years! Then I usually send you another one or two emails each week if I have something valuable to share with you. So What Did I Stuff Up? I didn’t implement my own procedures. These are the procedures I have used for over 4 years that ensure I am seen to be absolutely everywhere online (see that list of places I mentioned above), even when I’m not really. Everything is set up to work automatically so I just seem omnipresent (that is such a cool word). These are the same procedures I’ve also taught my clients that have allowed them to build strong brands through video marketing while really spending very little time doing it. 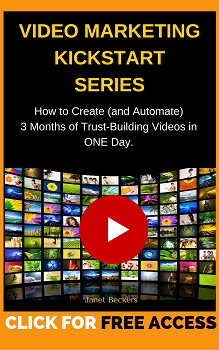 The secret is to spend just a few hours every 3 months filming a batch of 3-minute videos, then plugging them into the system you have already set up. That way, if things get busy, or things go wrong (as happened this month), your marketing still ticks away like clockwork. The lesson: If you have a system that works perfectly then make it a priority! If you want a checklist on 33 ways you can repurpose a 3-minute video and really milk it for all it’s worth (the same system I use), you can download it over here. That’s the thing with systems that are designed to give you freedom. If they are in place, then all the things that can pile up to distract you don’t really matter. They can be handled because, well, life happens. If the systems aren’t in place, then one thing piles on top of another and then you have to start making choices and very often, the non-urgent is ignored. (I said non-urgent, not unimportant). With online marketing, it’s not a matter of IF you will have techy problems, it’s WHEN. 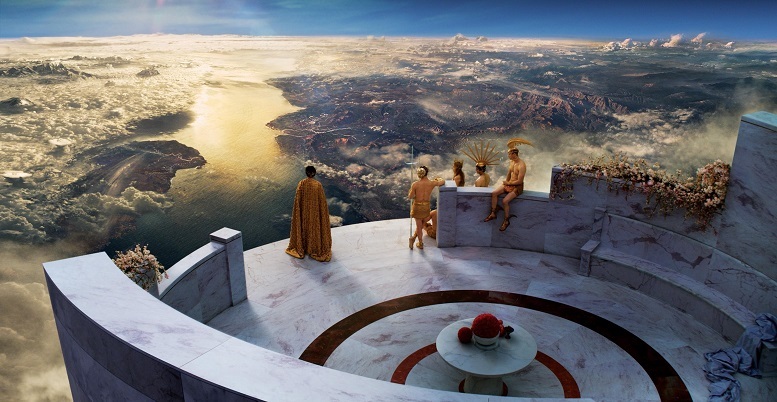 For us, The Gods of Technology saved all their vengeance and unleashed it over a couple of days, starting August 17th (my mum’s birthday). With great excitement, I clicked “send” on an email to announce the opening of a new program and marketing funnel for a program I have been working on all year. We had worked hard, tested and retested and I was extra excited because I had decided to build this new training program under a new brand, with a new website and testing a new software platform. My new Brand is called Cool Cats Video Marketing Academy which is a totally awesome training centre created from years of proven results, workshops in small VIP groups and collaborating with other specialists. In fact, I’ve published this article on my new website so you can have a look around. So, I clicked “send” and headed off to take my mum out to lunch for her birthday. Disaster. The inbox was full of people saying they wanted to buy but the technology wouldn’t work! Long story short: I had to turn around, and it took an entire day to diagnose the problem, another to fix it and then because The Gods of Technology are cruel, the rest of the week totally unrelated techy issues arose! An extra lesson: My customers are awesome. When things go wrong, if you communicate promptly and openly, your customers will be patient, kind and encouraging. Then, of course, create templated email responses so your assistant can consistently be a good communicator on your behalf. Unknown to me, as our software melted down, my elderly mum started vomiting (yep on her birthday) and continued until her dehydration started to affect her heart. So I received the emergency call to get mum into hospital. This is where your priorities are tested aren’t they? With me, the people I love are #1 and I’m again so grateful I have created a business that allows me to work from anywhere. So all of the disaster management outlined above happened while at my mum’s bedside. 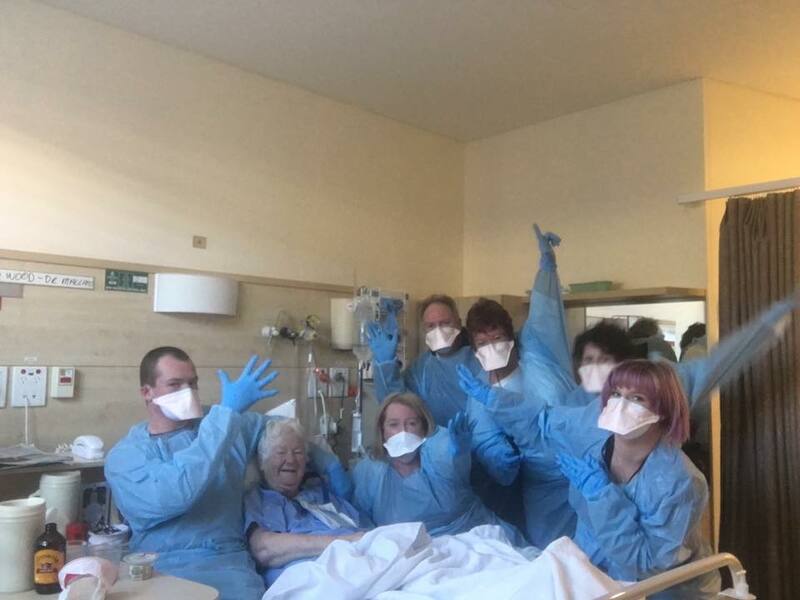 You can see a picture here of my family with mum, looking like a flock of duck-billed surgeons with our “infection protocol” suits on. The Lesson: Create a business that allows you to be with the one’s you love when you need to be. OK so this doesn’t sound too bad eh? In fact, it’s awesome. But of course, when you are going to be away from the office and giving 100% value for days on end, everything else needs to be set up to run without you. And usually it would have been….if I was walking my talk as I said in True Confession #1. So while mum is in the hospital my lovely sister and I played tag team so I could travel to The Gold Coast to run a retreat workshop in a river-side home for my Wonderful Web Leaders. The Lesson: If you know you will be away from the office and focusing 100% on other things, make sure your systems are in place so things will run smoothly without you (this doesn’t have to mean heaps of staff. Even solo-preneurs can use systems to automate themselves). Another Lesson: Create high-end programs that attract great people so, even when you are working hard, it feels more like fun than work. If you aren’t laughing a lot, you are attracting the wrong people. And another lesson: I promised you a recipe! This year has been extra special because my teenage daughter has been working as my intern and event manager and caterer for our Leaders Retreats. I’m so proud of the great job she has done and love her creativity when it comes to balancing the many food preferences members have. 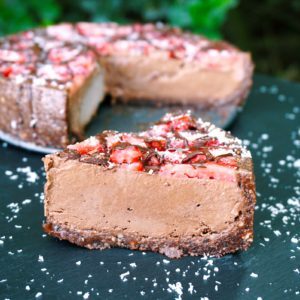 At this retreat she served an awesome raw food chocolate mousse slice. Believe it or not, this is totally healthy, full of fruit and vegetables and is to die for. Here’s her recipe for you. When you get busy in business and life, it is too often your marketing that gets ignored. Yet, it is your marketing that keeps on attracting new customers and nurtures your relationships with your existing clients. That’s why drought and flood sales are so common in business. Become a super-disciplined person who ALWAYS does your marketing activities every week…(true confession #6, I always aspire to be perfect like this but reality is far from this ideal). Create systems that mean you LOOK like you are a super-disciplined person who ALWAYS does your marketing activities every week but you really only have bursts of productivity every few months and then set it all on autopilot. If you choose option #2, then for Pete’s sake (where did that phrase come from anyway?) stick with the system and schedule your 3-month burst of productivity in your calendar! Now, if you’d like help setting up the same system I’ve used for over 4 years, and my clients have implemented simply in a wide range of businesses, then you’ll LOVE the new Cool Cats Video Marketing Academy. It’s the simplest and most time-efficient way I’ve seen to look like an absolute legend most of the time. You can get all the details and get immediate access over here. And hey….surely I’m not the only person with true confessions of stuffing up? Do you have any stories to tell too? Love to hear them. And if you’ve got any questions or ideas, please share them below.